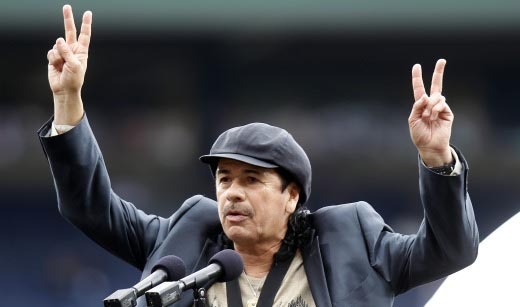 Immigrant rights activists say legendary guitarist Carlos Santana hit a home run during his speech at Major League Baseball’s annual Civil Rights Game in Atlanta, Georgia, May 15. Santana was being honored and presented the “Beacon of Change” award prior to the game where the Atlanta Braves hosted the Philadelphia Phillies at Turner Field. Days before on May 13, Georgia’s Republican Governor Nathan Deal signed a draconian anti-immigrant bill into law, which aims to increase enforcement powers and requires employers to check the immigration status of new applicants. The bill, HB 87, authorizes local police to check the immigration status of “suspects” in their custody and detain them if they are undocumented. Georgia’s immigration law is one of the toughest in the nation to date and is similar to Arizona’s SB 1070, which was enacted last year. Georgia, like Arizona, is a Republican-dominated state. Santana, a Grammy award winner, emigrated to the U.S. from Mexico in the 1960s. During his live speech before the game he said elected officials in Arizona and Georgia should be ashamed. 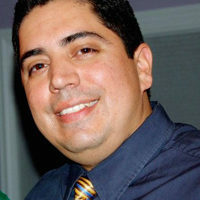 The Georgia law is based on racism and economic anxiety, noted Santana after his speech to reporters with the Atlanta Journal Constitution. The law goes into effect July 1, and imposes prison sentences of up to one year and fines of up to $1,000 for people who knowingly transport or harbor undocumented immigrants. It also asserts that workers convicted of using fake documents when applying for a job could be sentenced to 15 years behind bars and fined $250,000. Opponents say the law is unconstitutional, targets the Latino community and could lead to racial profiling. Civil rights attorneys in Georgia are working with several national groups to pull together a lawsuit challenging the law. Last year a federal judge blocked major provisions in the Arizona law after the U.S. Justice Department and the Obama administration sued. An appeals court upheld that decision last month. The Mexican government also condemned the Georgia law in a statement to CNN. “The legislators and state executives ignored the many contributions of the immigrant community to the economy and society of Georgia,” officials said. Latino advocates in Georgia are calling for national boycotts against Georgia’s convention centers and asking tourists not to vacation there. Town hall meetings are also being organized including a summer schedule of actions against the measure including a work stoppage set for the day the law goes into effect followed by a march and rally in Atlanta. Meanwhile some argue Santana was out of place to criticize Georgia’s anti-immigrant law before a major league game.